Established in 2016. Ive been in the Arborist/tree service for 14 years and recently I decided to go out on my own and start my own tree service. 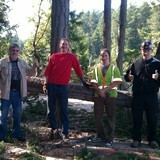 NW Treeline Design LLC is dedicated and willing to prove how great of a company we are and will be. I've been doing tree work for the better part of my life. I grew up in a family that was Arborists and ive been around it my entire life. When I graduated High School that summer I started doing it full time and traveled around the U S doing tree jobs for my first company. 15 years in tree services and I always wanted to start my own company and now I'm living my dream. I will do whatever it takes to make the customer and my employees a 100% happy, that's my goal. 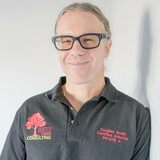 Axia Tree Service, LLC was created by Zoltan Dornay and Jonas Ray in an effort to provide a professional and affordable tree service for people of the Pacific Northwest. We are based out of the Gig Harbor area, but service all of Western Washington. Our company performs every job with punctual meeting times, safe work environments, and educated techniques. We strive to leave your property in better condition than when we arrived on the job. Moreover, we keep our overhead low by owning and maintaining our equipment, allowing us to provide complete, professional services at much lower rates. Zoltan and Jonas come from large families in the Puget Sound area. Both are married with many children of their own. They love the Western Washington community, which is why their main goal is to better it everyday through their hard work and actions. 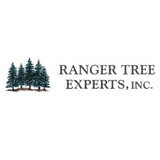 We are a tree service company based right here in Gig Harbor, not miles away. We are also proud to serve Tacoma, Lakewood, Key Peninsula, and South Kitsap areas. We take pride in our great customer service as well as our fine detailed, professional tree work. We have the experience and resources to handle any job you bring out way. So whether it’s top-quality pruning or zero-impact tree removal, we are your tree service. Hansen’s responds to each call as quickly as possible, and you can count on us for 24-hour emergency tree work any time of the year, including the storm season. We carry the proper insurance (Liability and Labor & Industries) and we are licensed for your protection. Your Shelton, WA tree service professional or arborist might work in conjunction with another landscape professional to create a seamless landscape design. Here are some related professionals and vendors to complement the work of tree services: Landscape Contractors, Landscape Architects & Landscape Designers, Garden & Landscape Supplies. Find tree service professionals on Houzz. 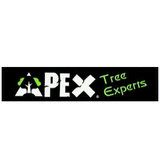 Look in the Professionals section under Shelton, WA tree services. You can look through portfolios and read reviews to see what past tree care clients have to say.